We are a quality centric organization, offering the best-in-class products that are manufactured using the experts approved and certified raw material procured from reliable sources. Our complete range of product is wrapped in strong, nontoxic, and superior-grade packs that protect the contents inside from damage, moisture, logistic movement, etc. Furthermore, the packaging has product details printed on it. 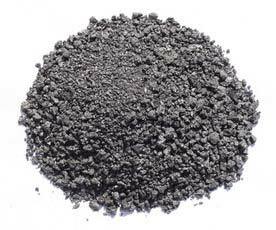 Product Description : We are involved in providing our customers fine quality range of Calcined Petroleum Coke (CPC). We can supply very fast melting CPC for high power furnaces used in Ferrous foundries. Sulphur 0.1, 0.5%, 1%,1.25% and 1.5%. For carbon pickup in Grey Cast Iron And Steel.